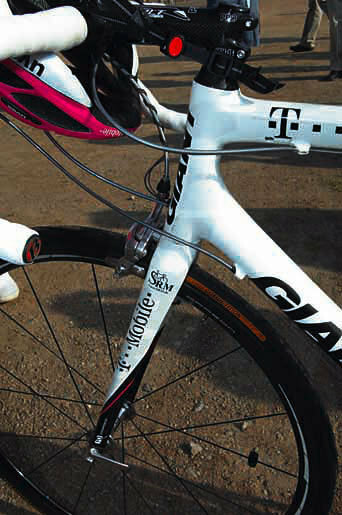 Ian Stannard, riding as a stagiaire for T-Mobile, is fortunate enough to be using a team-issue bike. 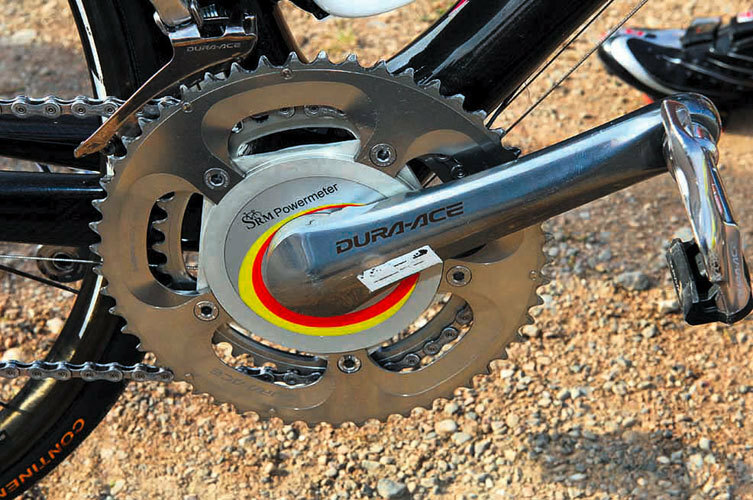 Giant?s finest TCR Advanced, with a Dura-Ace groupset and SRM power meter, is a simple yet effective tool, demonstrated by his hard work during the Tour of Britain. This bike is fitted with a 140mm stem and 175mm cranks, a change from earlier in the season when he was on 180mm cranks. 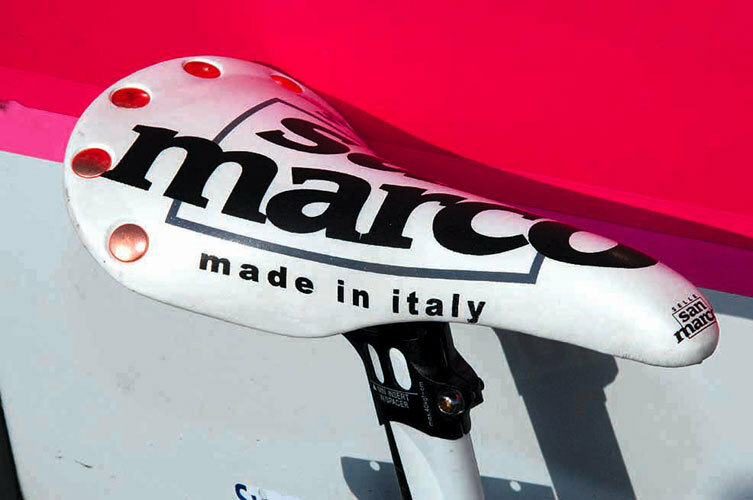 Becoming a stagiaire for one of the world?s top teams could be just the break Stannard needs.